At 4am one morning in ’92 in heavy fog, I was on the helm of S/Y ‘Cape Song,’ a 52′ Yawl, heading into Table Bay Harbour. Sailing the world’s most notorious coast, with the highest number of wrecks per nautical mile. In those days we didn’t have GPS, but we did have SatNav. A passing satellite every 12 hours or so would provide a fix, which you would then use with dead reckoning and other navigational aids such as sextants and lighthouses to plot your course. What’s memorable about this particular night, apart from it being my first yacht delivery, not to mention first sail into the most famous harbour in the world, is the results of our navigation. We estimated that Robben Island was about a mile to starboard, our East. We could hear surf close by, but fog has a way of amplifying and diffusing sound so we weren’t too worried. A sudden gust of wind opened a hole in the mist and just 100 yards to port waves were breaking on the rocks of the old prison. Oops. Later we spent three days drinking and laughing about that experience. At the time not so much. Almost 2 years later I was delivery crew on a 107′ wishbone ketch, S/Y ‘Sintra’, crossing the Atlantic. We had SatNav, Radar, Weather Fax, Plotters and GPS. We also still took a daily plot with a sextant, and helmed to an old school compass. Timid Virgins and all that. Sometime soon the GPS’s in our pockets will become ever more accurate as we wire up lampposts, traffic lights, and send balloons into the stratosphere to connect the planet. 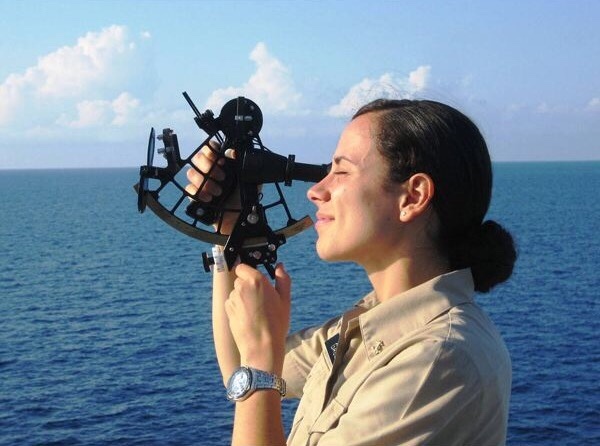 Despite being a Technology Evangelist, I still believe we should learn to use a sextant. Technology simply accelerates or amplifies. If you can’t do something (well), technology will enable you to accomplish it. Remove the need to find a street directory or ask for directions. If you can do something, technology amplifies that even more. True happiness comes in mastery. Technology still fails. If you can’t navigate the world without needing technology you’re going to be toast when SkyNet takes over, or the undead.